Soundwave’s next evolution is here! 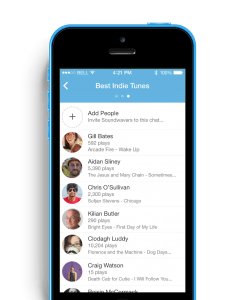 Soundwave is a Dublin based music discovery app for iOS and Android, that I have been following for quite some time over at SoundCTRL, where I do much of my tech writing. For those just hearing about this app company for the first time here, my last bit of published commentary on the app was back in March, talking about an update and migration from mobile to desktop access. In short, and as you can read in the hyperlinked article, Soundwave is a music tracker that is all about global, real time discovery –or, as I love to refer to it: the musical jetsetter app. Commonly known now, as the ‘Instagram of music,’ Soundwave is unleashing its biggest update and feature evolution to date – and when your app’s most unique feature already lets users see what people are listening to any place in the world right when they play something – one can imagine growing past that element is no simple aspiration or achievement. Still, Soundwave has surpassed their previous bar with a solid batch of changes that have cemented their reputation as a top notch startup success. Soundwave’s brand new “Group Chats” feature! Music messenger/groups: Expanding from single comments and the inevitable “chat chains” that form when you really get into discussing a song with another fan, users can now initiate group chats with one another. Instant playlists with friends: Create playlists together with friends by instantly adding songs from Spotify, YouTube, iTunes or anywhere else. Just swipe to view all the songs that have been shared and voilà: an instant playlist. Smart recommendations: Finding other people who are playing the same music as you, are in the same area as you and are even “Liking” the same tunes as you, is now even more intuitive and easy with Soundwave’s new smart recommendation feature. Song search and share: Users can now look for specific songs within the app and then instantly share them either on their own activity feeds or with other users. New Soundwave user profile interface! Music on tap: Play a full YouTube video for any track, directly via Soundwave or open it in Deezer, Rdio or Spotify with a single tap. New profile UI: Next to the functional expansion of Soundwave, this is probably one of the biggest changes, that is also the most immediately noticeable. The aesthetic of Soundwave’s interface has gotten a nice makeover. The new design is cohesive, bright, visually streamlined (ideal given the scroll-and-swipe-heavy nature of the app’s content) and everything simply feels refreshed –ready to take on this new level of user interaction. 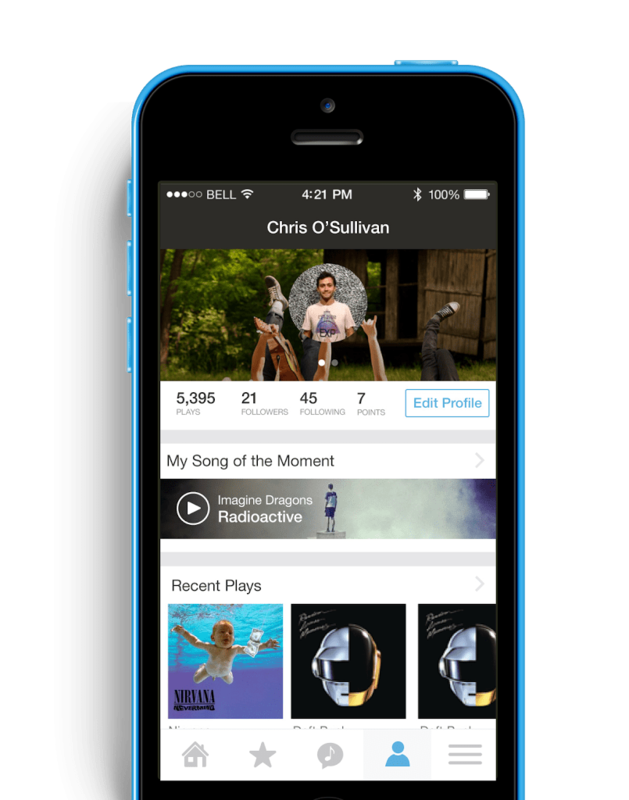 A permanent feature bar that includes single tap access to one’s profile, playlists, the main activity stream and recent social activity, works in tandem with a separate side menu of the other features –including the Music Map. Together, the two parts house all of Soundwave’s surfing and socializing tools. In the nature of full honesty, this can feel a little navigationally confusing at times if one has been a pre-existent user because of the drastic facelift. However, just as with any other popular outlet, give it time; maybe take the first few uses slowly and just go through every corner of the app. In no time, everything will be right where you remember it. If anything, new users are liable to adjust more quickly because this structure will be the first thing they experience. It is a rare sight to see a company that can keep moving forward with such a degree and combination of: development speed, staff-to-user intimacy, (something that can fade as a company grows and resources stretch,) tech trend awareness and retention of core product vision. The stage Soundwave is at now, clearly shows them laying down a new marker on the path of socialization that has been carved out by so many before them. Nevertheless, as mentioned before, this is only because Soundwave’s grasp on the instantaneously and ubiquitously present nature of music in everyday society is already so airtight, needing only minor alteration from time to time because they have been so ahead of the discovery curve since unearthing their concept on day one. The newest version of Soundwave is available now from the iTunes App Store or the Google Play Store and the company can be found/followed on these social media outlets. Soundwave’s founders are Brendan O’Driscoll, Aidan Sliney and Craig Watson. The app is backed by venture capitalist Mark Cuban and enthusiastically supported by actor, author and philanthropist, Stephen Fry.